Bioluz LED introduces the Highest Quality 90 CRI and Energy Efficient LED Retrofit Kits in the Industry backed with an unconditional 5 Year replacement guarantee. These fixtures put out 840 lumens (75w equivalent using only 12 watts), are 3000 Kevin color temperature and have a wide beam which provides soft, ambient light. They're perfect for general indoor lighting in your office, study, living room, kitchen, dining room, display case, under cabinets, etc. 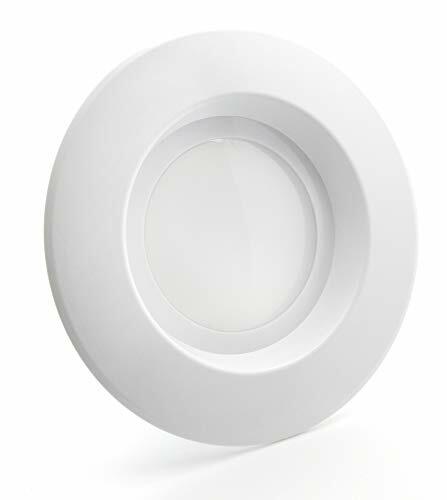 With 840 lumens of brightness, they outperform nearly all other similar 6 inch recessed lights on the market. UL Certification guarantees incredible performance and safety. They're an ideal replacement kit for your old halogen lights - replacing from 65 watt to nearly 100 watts of light, with an estimated yearly cost of $1.45 based on 3hrs/day and 11/kWh. Your savings may vary depending on rates and use. Incandescent and Halogen bulbs emit a lot of heat and use a lot more energy than Bioluz LED lamps and retrofit kits. Replacing them with our more energy-efficient LED bulbs will help convert your house to an eco-friendly and more sustainable home. Bioluz LED retrofits come with an Edison screw base adapter and self-retaining spring clips which makes the conversion extremely easy. No other tools or components are needed. UL Listed! Bioluz LED delivers incredible performance you can count on for years to come. All wiring is hidden in the can above the ceiling and is safe from any wear.